On Saturday we went to the wedding out in Falls Church. The wedding ended at three, and the reception wasn’t until that evening at the Mount Vernon Inn. 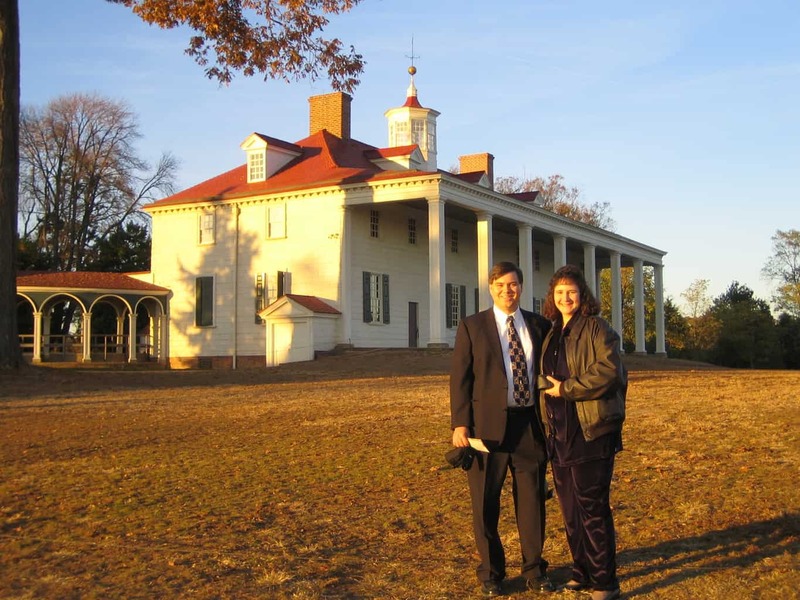 I had never visited Mount Vernon before, so we headed there right away, planning on touring the mansion and grounds before the reception. As it turned out, in November Mount Vernon starts closing an hour early for the winter season, so we barely made it inside, buying our tickets just a few minutes before the ticket window closed. The reception at the Mount Vernon Inn was a lot of fun. Our friend Juliana (like John, a friend from our MBA program) and her husband Ron were there, so we spent most of the evening catching up with them. The food was excellent. The appetizers scored high in my book, with several made of venison. Mmmmm! 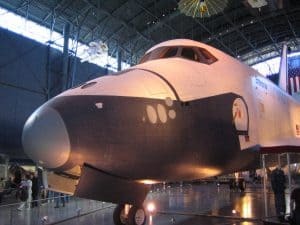 On Sunday we headed back to Baltimore to fly home, but first we drove out by Dulles to visit the National Air & Space Museum Steven F. Udvar-Hazy Center (whew, what a mouthful). I’ve been to the main facility a couple times, but this new facility is even more impressive (in my opinion). The place is made up of a couple large hangars, one dedicated to aircraft and the other to spacecraft. They have only been open since December 2003, and it still feels like they’re in the middle of moving things in. 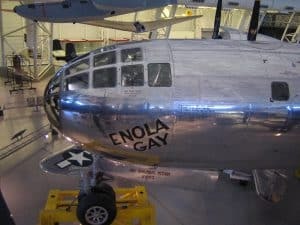 They have aircraft on display ranging from a one of a kind WWI bomber to German jet aircraft from WWII, to the Joint Strike Fighter. A couple highlights were the Enola Gay, the B-29 that dropped the atomic bomb on Hiroshima, and the Space Shuttle Enterprise. If you have any interest in historic aircraft, this is a must-see. I don’t have photos posted from the Udvar-Hazy Center yet, so here’s a preview. Click the photo to see it full size.